Component reel protective bands, or PROBANDS™, are long strips of static-dissipative polystyrene. When a PROBAND™ protected reel is placed into a moisture barrier bag and subjected to vacuum, the PROBAND™ protects the carrier tape within from damaging pressure. 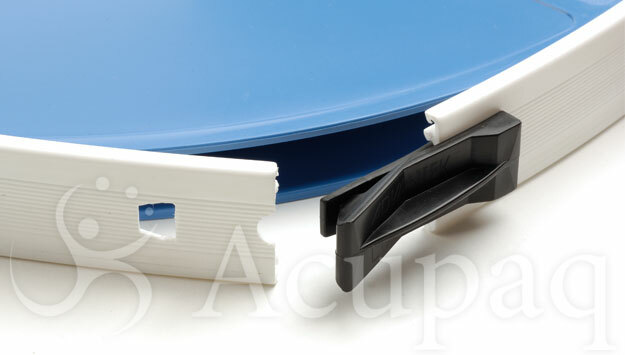 PROBANDS™ are available in most industry standard widths. LOKBANDS® attach to the outer edges of a reel to offer superior protection during vacuum packing and whilst in transit. Also, the LOKBAND® will ensure there is no opportunity for the carrier tape to unwind from the reel. Both PROBANDS™ and LOKBANDS® have anti-static properties that provide excellent ESD protection of your devices. Acupaq stock an extensive range of products that are available from over 30 global stocking locations.